Get ready, NBA Twitter. There will be a chance to interact live with referees during two marquee matchups in the coming week. Referees will be using Twitter to answer questions in real time during a number of games for the rest of the season, according to the NBA Referees' Twitter account. The rollout will begin with Monday's contest between the Warriors and Lakers, as well as Wednesday's game with the Spurs against the 76ers. Fans will be able to tweet using the hashtag #RefWatchParty or directly to the @OfficialNBARefs account. The league first tried fan engagement on social media during an NBA Finals game last season. 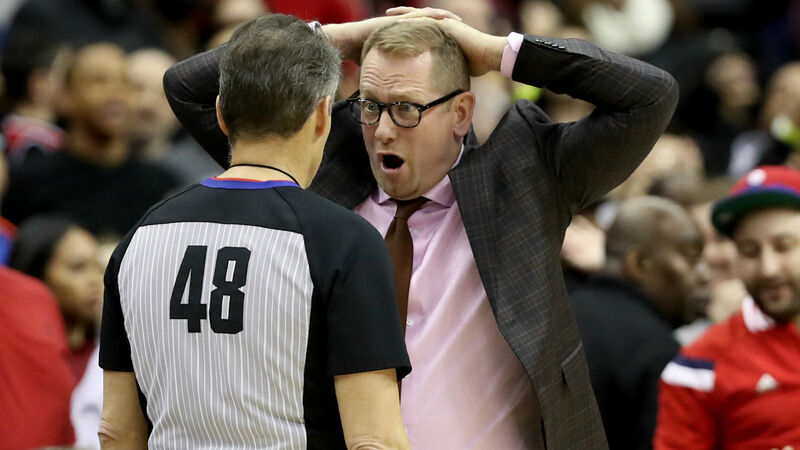 According to the report, the feedback was positive as referees used the platform to address controversial calls and acknowledge incorrect calls as they happened. The referees who will be tweeting will have access to the replay center, just as the officials who are calling the game do. The NBA and referee union will continue this partnership through the postseason.